The students those who have applied for the session July 2019 for the same need not to apply again. 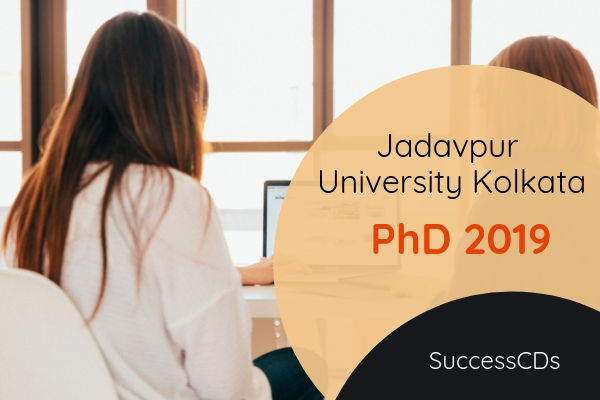 Get details on Jadavpur University (JU), Kolkata PhD admission 2019 such as eligibility criteria, application process, admission procedure, exam dates and much more. Physical Education - Physical Education; Allied Subjects and other Subjects: Allied Subjects specified by the Dept. of Physical Education: Physiology, Sports, Physiology, Psychology, Sports, Psychology, Sports Sociology, Sociology, Sports Medicine, Sports Science, Sports Management, Sport Journalism, Biomechanics, Kinnathropomentry,, Sports Engineering, Yogic Science, Physiotherapy, Philosophy and Statistics. A relaxation of 5% of marks, from 55% to 50%, or an equivalent relaxation of grade, may be allowed for those belonging to SC/ST/OBC (non-creamy layer)/differently-Abled and other categories of candidates as per the decision of the UGC/AICTE/State. Candidates will be selected through a written test of two-hour duration (two and a half hours for Physical) and an interview to be held in the respective Departments. Candidate who has an M. Phil (Regular two year course) degree and was admitted to the M.Phil Program through a written test, or have qualified NET/SET shall be entitled to get exemption from written admission test and shall be called directly for an interview. Applicants for PhD Program in the Dept. of Physical shall be required to submit two letters of recommendations in the prescribed format in sealed envelopes at the time of interview in addition to the Statement of Purpose. Applicants will be selected through a written test of two-hour duration and an interview to the held in the Department of Physical Education. Applicants should apply online through University Website www.jaduniv.edu.in from December 26, 2018 to January 10, 2019. Applicants have to pay the application fees Rs.500/- (per subject) online through SBI Collect system using Credit Card/Debit Card/Net Banking after 48 hours of form fill up. After payment they have to submit the print out of online application along with a photocopy of online payment receipt downloaded from SBI and other testimonials as mentioned below to the office of PhD Cell, Faculty of Arts (Subrana Jayanti Bhavan, Ground Floor, Jadavpur University, Main Campus, Kolkata-700032). All Applicants must bring in a Statement of Purpose relevant for his/her intended field of research (non-more than 500 words) at the time of Interview.